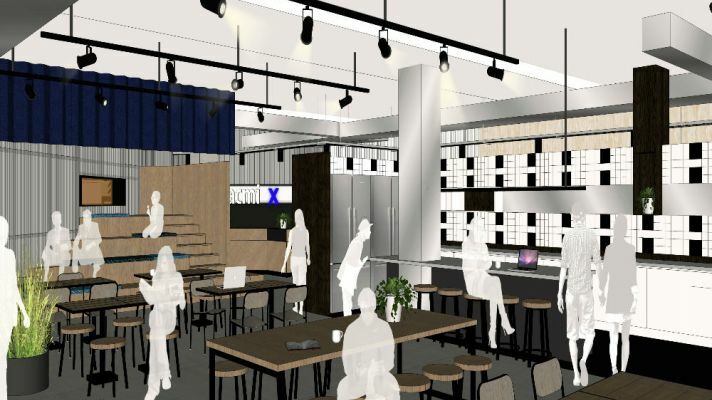 Over the last year, the REMIX Agency has been working with the team at the Australian Centre for the Moving Image to develop ACMI X; a next generation facility for creative entrepreneurs exploring the future of the moving image. ACMI X represents the first collaborative working space for the creative industries set up by a major cultural institution in Australia. ACMI X is a 60 seat co-working studio and social and events hub in a 2000sqm state of the art office space, designed by award winning architects Six Degrees and located in the heart of Melbourne’s flourishing Southbank arts precinct. The ambitious initiative will foster creativity and collaboration, experimentation and inspiration and will expand the way ACMI engages with industry and practitioners. By shifting to a model of co-creation with new collaborators and partners, ACMI is redefining its role as commissioner and curator, and embracing creative risk and experimentation, to develop a new type of creative institution. REMIX Agency have also generated new ideas, strategies and research for clients including the Houses of Parliament, Dubai Culture, Tate, BFI, Google, Nesta, European Union, City of London, Skype, School of Life and The Independent. Find out more about our projects here.